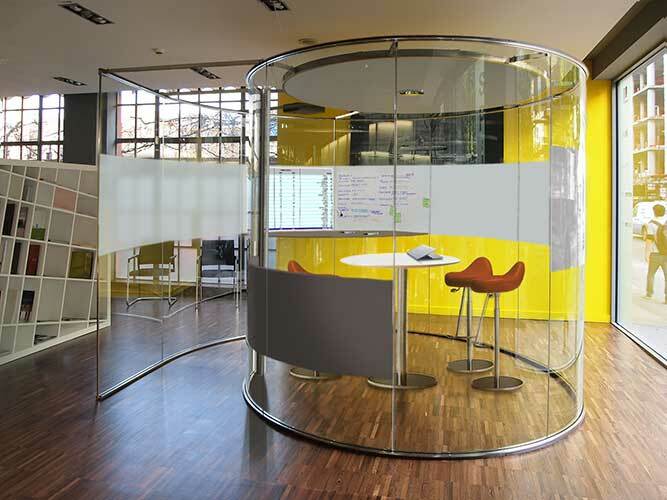 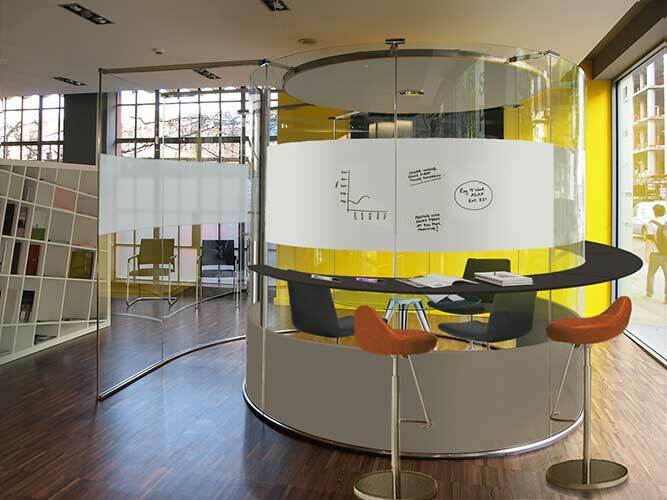 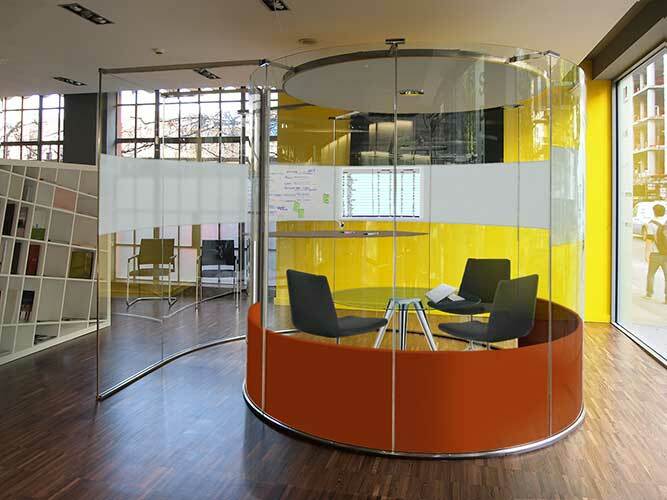 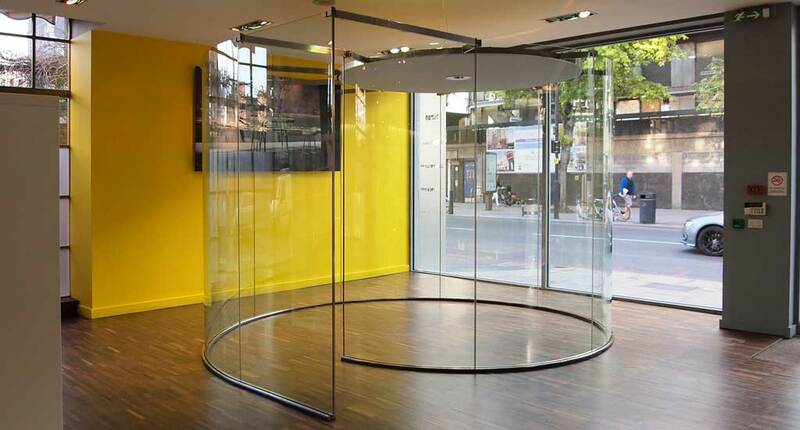 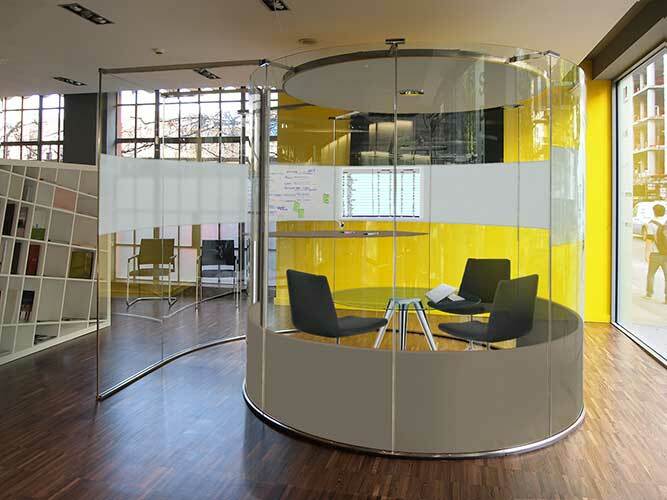 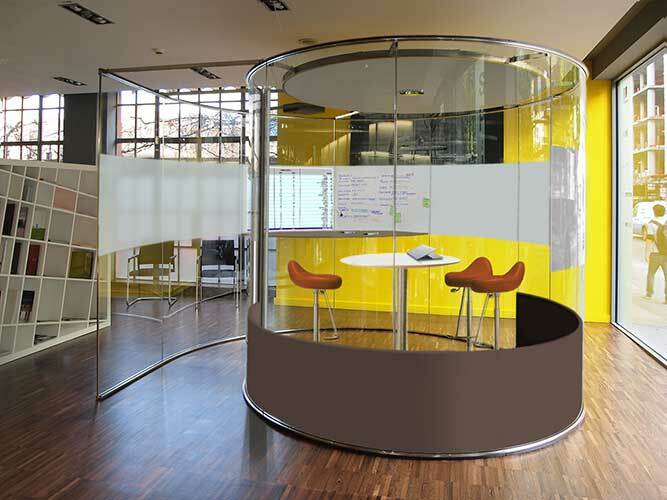 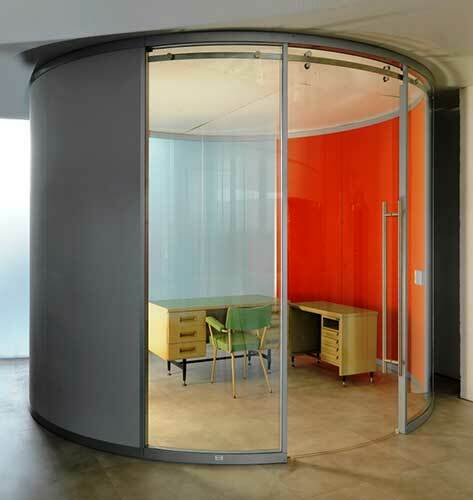 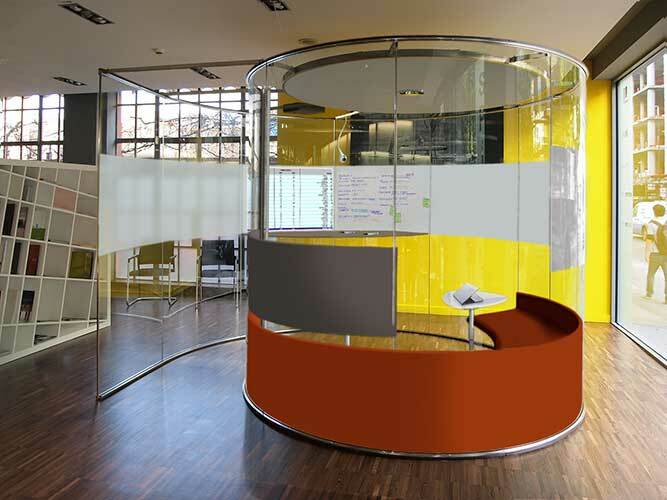 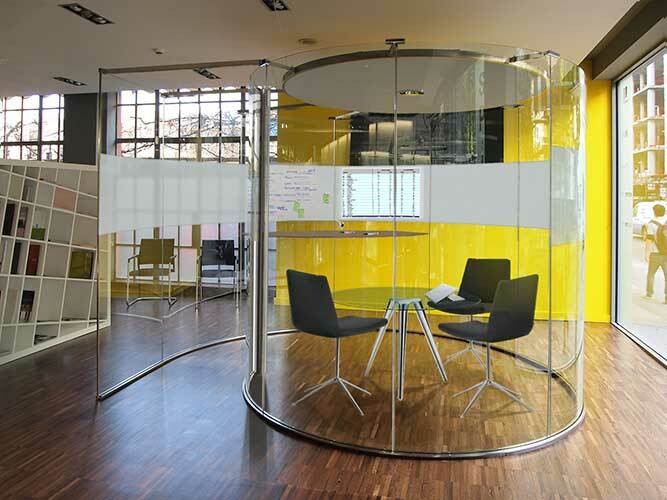 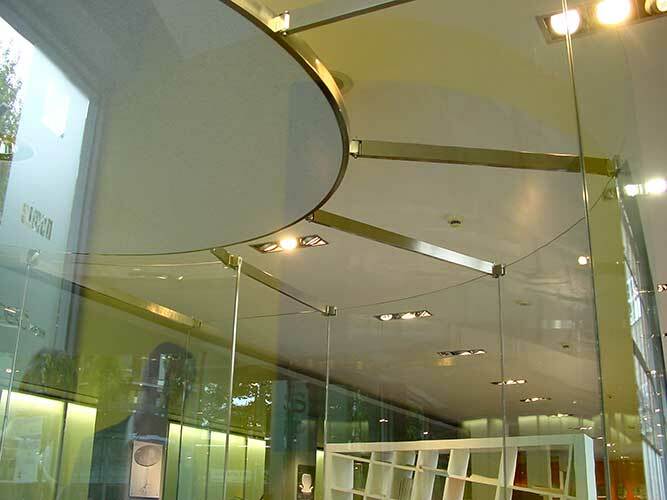 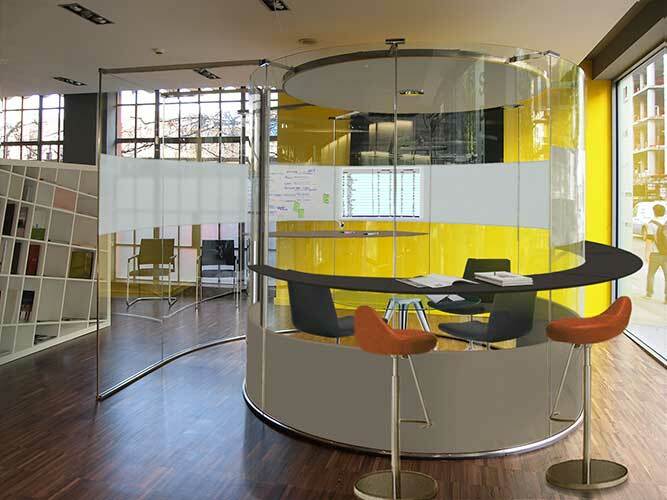 Large or small, curved or straight, self-contained rooms complete with ceilings, lighting and ventilation to be used as free standing pods for increased layout flexibility and of particular interest in open grid buildings. 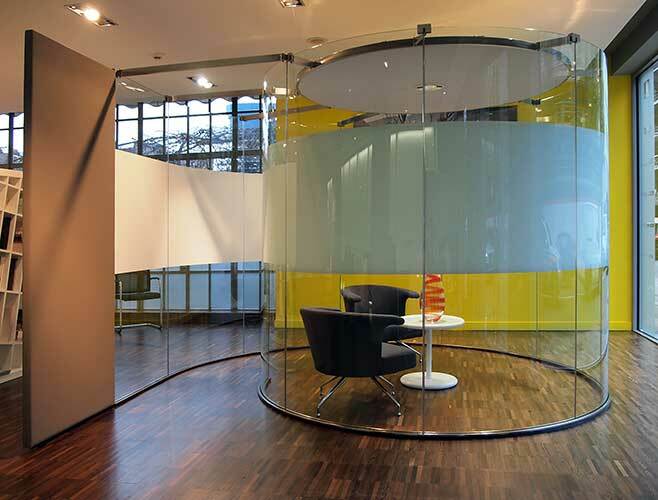 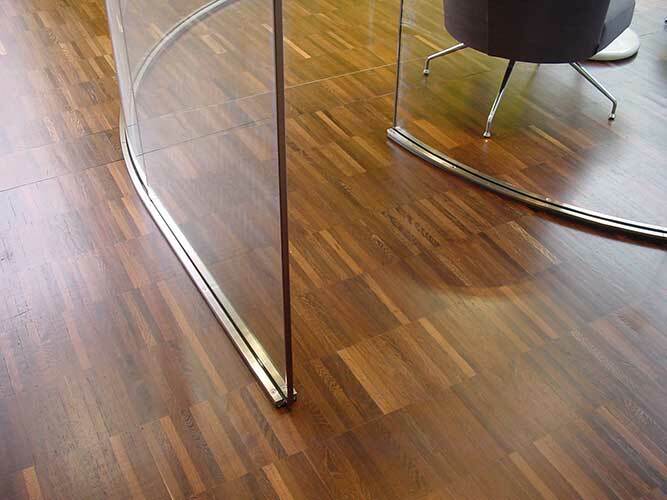 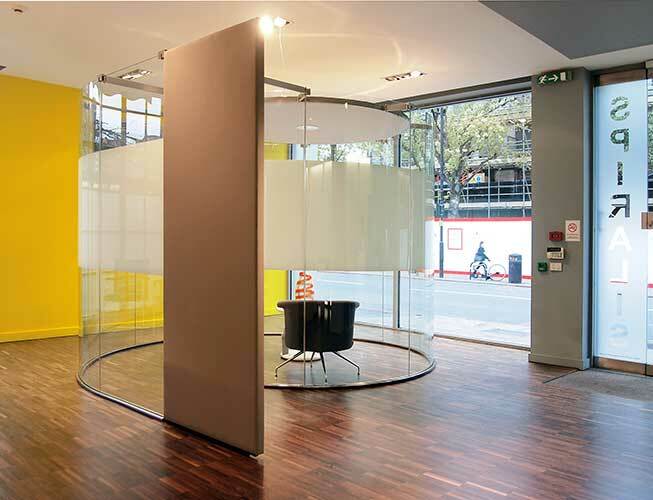 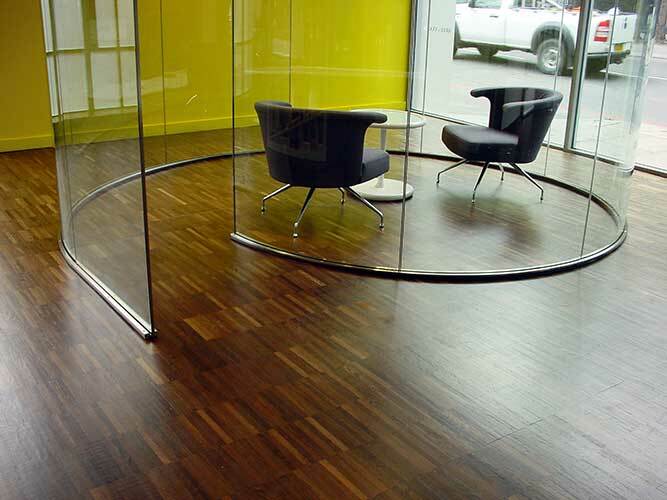 The level of privacy that can be achieved would be defined by the use of clear glass versus solid panelling, the acoustic characteristics of the materials employed, and the door design. 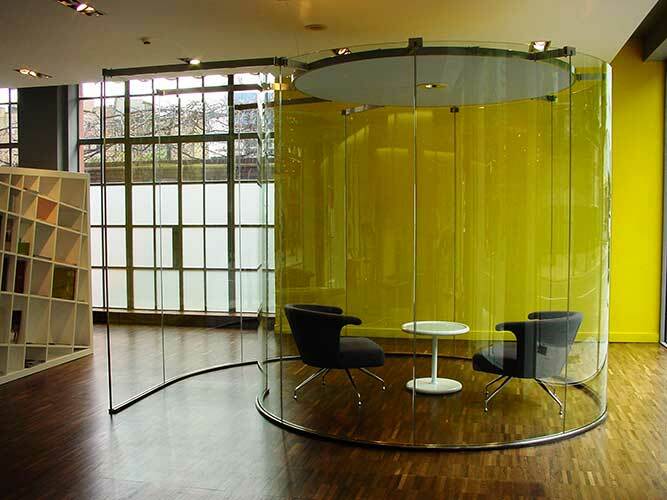 A patented glass dry joint allows accessories and work surfaces to be used both inside and outside the pod.